We’ve all heard a lot about 8-30g — the state’s “affordable housing” statute. But what is “8-30g”? And what does “affordable housing” really mean? At last Thursday’s Planning and Zoning Commission meeting — where members voted unanimously to deny an application for a 6-story, 48-unit apartment complex (including 15 affordable units) — P&Z member Catherine Walsh entered into the record a report on that topic. However, 8-30g counts only units constructed after 1990, and those that are deed-restricted for 40 years. Most Westport units that serve lower-income groups do not fall into either category, she said. According to the 2010 census, 10,399 dwelling units are used for calculating 8-30g “points.” Of those, 9,860 are single-family homes. Among “single family” units, there are 1,069 documented apartments. Only 7 are deed-restricted, to comply with 8-30g. She included other figures, including group homes and approved-but-not-yet-completed units, as well as low-income units that do not fully comply with all aspects, yet still serve low-income citizens. “Westport has always believed in and encouraged increasing the diversity of housing stock while maintaining our small town character,” Walsh said. Hales Court was built in the 1950s. A recent rebuilding effort added twice the number of lower-income housing units. 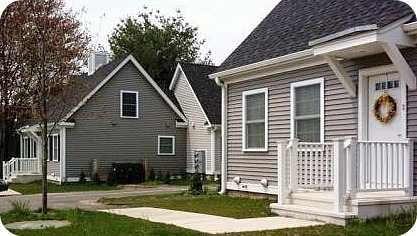 In recent years the P&Z took action to “further encourage diversity of housing,” and comply with 8-30g requirements. Members enacted legislation covering mobile home replacement units, and created a variety of zones. These range from 15% affordable, to 100%. Westport has also encouraged legalizing existing apartments in private homes. Over 1,000 units would benefit lower-income residents, but do not comply with the statute. (Most homeowners oppose 40-year deed restrictions.) Over 200 in-home apartments have been legalized. The old Saugatuck School on Bridge Street has been repurposed into low-cost housing for the elderly. Those 36 units do not count toward 8-30g. In 2010 the P&Z passed text amendments to allow affordable housing in 8 split commercial/residential zones. There were no applications until 2014. The Geiger project (Post Road and North Morningside) is currently under construction. In addition, the town — through its Housing Authority — has upgraded low-income housing units at Hales Court and Sasco Creek. Hales Court (built in the 1950s) now has twice the number of units (78). Sasco Creek also increases the number of affordable units. The original Saugatuck Elementary School on Bridge Street is now elderly housing. Built (way) before 1990, it is not included as “affordable” by 8-30g regulations. In other affordable housing news, RTM member Matthew Mandell sent “06880” a link to an equation he developed (with help from Staples High School teachers Bill Walsh and David Rollison). Click here to see it. Inputting a few figures lets you know how many units must be built to reach the 10% affordable figure mandated in 8-30g. It works for any town — not just Westport. Mandell takes his math one step further. Start with a round figure of 10,000 housing units in Westport. Approximately 270 are deemed “affordable,” by 8-30g standards. To get to the statute’s target of 1,000 units, you’d think we’d need to build 730 more. Wrong, Mandell says. It’s more like 3,650. Mandell notes that the affordable units being proposed now in Westport are part of bigger complexes. Every unit in a new proposal is not “affordably” priced. So a developer who builds a 150-unit building with 45 affordable apartments has also built 105 that are not. And the town’s housing stock has increased by 150 as well — meaning more, not fewer, affordable units now must be built. The end number keeps moving further away. “If we built 3 buildings with 250 units each — all of them affordable — we could do it,” Mandell says. 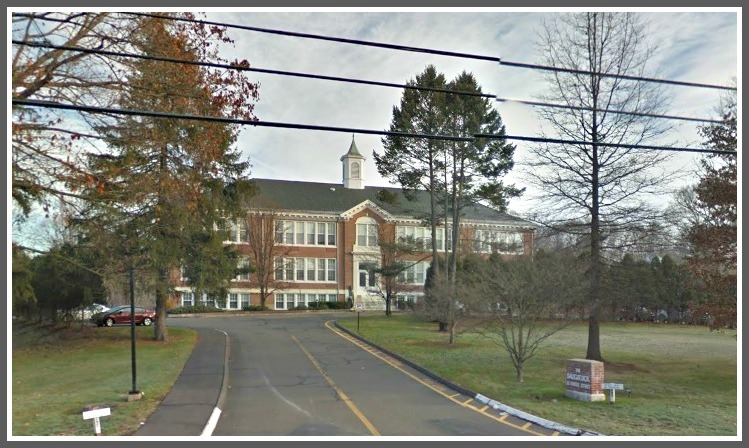 This entry was posted in Local politics, Real estate and tagged 122 Wilton Road, Canal Park, Catherine Walsh, Connecticut affordable housing 8-30g, Hales Court, Matthew Mandell, Planning & Zoning Commission. Bookmark the permalink. Like I stated in an earlier post…this would be a great time for Rep. Steinberg and his other Fairfield County like minded Reps to head back up to Hartford and work to amend 8-30g by making the case Matt Mandell outlined. It is impossible without destroying our town and towns of similar size. 8-30g was written to help builders and more urbanized areas. It was not written with any consideration for towns like ours. Time for Rep. Steinberg to don his body armor and head north and lead the charge. The last time he tried his attempts were dismissed quickly. Now that he has some tenure…maybe he can lead the fight and win. I wish you the best of luck with your effort to have 8-30g amended. If you read the article cited below, I think you will agree the statute was crafted to have the impact on towns like Westport you now seek to avoid. The statute was heavily influenced by the Mt. Laurel decision which was hailed by the NYT as a historic victory for civil rights. 8-30g is an effort to engineer non-market driven outcomes. Its express purpose is to alter the character of towns like Westport. If the statute is to be changed, there will need to be either a change in regime in Hartford, or some sort of quid pro quo deal struck with existing regime. I think the probability of achieving either outcome is remote. Perhaps towns like Westport should make preparations for what might be inevitable. As Matt points out above, the higher the percentage of affordable units in the population of new units, the lower will be the number of required new affordable housing units. A town full of progressives should have no problem dealing with change. Michael, I agree with you on this issue and like, Matt, I am intimately familiar with 8-30g having been involved in a 8-30g land use issue here in Westport several years ago. In our case, we prevailed and the developer walked away with a win also. Developers like to use 8-30g as a weapon to get what they ultimately want….generally more than what the local zoning will allow. Jamie, since the express purpose of 8-30g is to change the “character” of towns like Westport, I don’t see how arguing for relief from the statute on the basis that compliance would require a significant alteration in the “character” of the town is a winning one. If you read the first article I posted, the author claims the incidence of “blackmail” is minimal or non-existent. If he is to be believed, we must be able to present new evidence to the contrary. I’m pleased to see Matthew Mandell’s explanation of the unlikelihood of Westport attaining the 10% affordable housing threshold (which would free us from 8-30g developments) – it’s perplexing but it is well known to all who deal with this issue (I call it the problem of adding to both the numerator and denominator). And yet, you will hear people like Jonathan Steinberg (and other leaders who know better) claim that “if the P&Z would only approve” [a project with an affordability component, like senior housing on Baron’s South], Westport would meet / make great strides towards meeting the 8-30g affordability threshold and be free from the horrors of that law.” Good theater, perhaps, but hogwash. Please remember this point, because we will surely hear this false argument raised again. That’s not to say that this P&Z does not remain committed to increasing the stock of affordable housing in Westport – we continue to protect the requirement for such as found in our current regulations, and strive to include a meaningful % of affordable housing in every new multi-family housing zoning regulation initiative. But Westport will never hit the 8-30g threshhold unless the law is changed. We could get to a moratorium, which is a worthy goal and should be reached and would be helpful. This is what Steinberg means. But I do believe that 4 years later, once it lapses, we will have developers who have sharpened their knives ready to attack. 4 years is a blink to developers which see things in decade terms. Matthew, as you are quoted above: “If we built 3 buildings with 250 units each — all of them affordable — we could do it,” Mandell says. “But that’s impossible.” An intelligent statement, and I don’t know how to square that with your post above, which is quite contradictory and veers away from simple math. As for what Mr. Steinberg (and others, let’s not single him out) “meant”, I am happy to quote the minutes of the RTM meeting where he made this point, and quote others who have made similar claims. We all certainly still agree that adding to our stock of affordable housing is a worthy goal. Unfortunately the Hartford plague goes beyond fiscal irresponsibility. Matt’s points are well taken. And the impact of the affordable housing quest goes beyond any particular project but to the heart of a well designed and planned community. In many instances common sense has been tossed aside. I have a question about a minor point. Even though the Saugatuck School was built way before 1990, it was converted to affordable housing in 1994-1995. I don’t understand why the conversion doesn’t qualify. 8-30 g is well intentioned but ill worked-out, as was Common Core. The diversity of factors that lead to shortages of affordable housing (and the definitions of those shortages) require a diversity of approaches rather than a one-size-fits-all mandate. Will Rep Steinberg fight for us? The fact we have to ask tells you everything. Just remember he helped drive taxes higher which eventually drive GE out. Unfortuantely I fear….